This book, edited by Kelly Link and Gavin J Grant, promises on the cover that it is "An Anthology of Fantastically Rich and Strange Stories", and mostly lives up to its promise. You can go back to your other reading at this point, or you can grit your teeth and stick on to the very end. Some Fortunate Future Day by Cassandra Clare has the typical Victorian Miss in a future world split asunder by war, left behind by father and other male relatives, and minded by an assortment of wondrous mechanicals (robots to us moderns). An Airman falls into her garden (into the rose bushes). The possibility of Romance wars with its likelihood. A surprisingly creepy story. The Last Ride of the Glory Girls by Libba Bray is a Western. The Pinkertons armtwist the protagonist to infiltrate the gang of Glory Girls by pretending to help them to mend their broken mechanicals. The backstory carries the story into the future. The mechanicals are side orders. Clockwork Fagin is by one of my favourite authors, the inventive and imaginative Cory Doctorow. In the original Charles Dickens story, Fagin finds lost children and makes thieves out of them. In this piece, the children mangled by the Muddy York Hall of Computing's immense brass machinery are put to the tender mercies of the Grinder, who runs the St Agatha's Home for disabled kids. The sisters piously hope that the Grinder is benign, but he breaks the kids and sends them out to beg. Things change when Monty Goldfarb, a teen entrant, challenges the Grinder, successfully, and all the children who are "artificers, machinists, engineers, cunning shapers and makers" get together to defeat the system. A surprisingly upbeat story, given its grim substance and "simple murder". Seven Days Beset by Demons by Shawn Cheng shows (yes, it's a graphic story aka comic) a cunning maker of windup mechanical stories go through the seven deadly sins, one a day. Hand in Glove by Ysabeau S Wilce is a true Victorian sci fi story, withal complete with scorned woman detective. Murders have been committed, and things stolen from the murdered, while people right next to them saw no attacker. There is a chimpanzee who has been uplifted to intelligence--all the way to a doctorate, a tall woman scientist, a golden-haired blue-eyed duffer of a male detective, and a plot madcap enough to satisfy all your steampunk and frankenstein wishes. There's a zombie, too. The Ghost of Cwmlech Manor by Delia Sharman starts with our village teen engineer aspirant working as domestic help for the newly arrived teen engineer lord of the manor. The fabled ghost does turn up, and how. There are villains with evil designs (you can almost see them twirl their mustaches and go mwahahaha), musical robots, romance, and common sense. "A mechanic, ... is only a scullery maid with an oilcan" is a pithy observation to be sure, and nobody should tell someone to aspire no higher because, ahem, she's a girl. Gethsemane by Elizabeth Knox pits the claimed history of its characters against their true backstories. You go through belief to disbelief, to belief again. There is hubris and it meets a volcano. Not among my favourites in this book, it's still a good story. The Summer People by Kelly Link has a latchkey kid who's left home alone (while sick) by her father, who has been hit by one of his periodic bursts of urgent religion. She's supposed to mind the summer houses he is the caretaker of, while sick abed. When she returns to school, her classmate is, well, almost bullied into helping her (what a doormat the classmate is!). Partners of her father turn up to demand recompense (you realise why the father suddenly recalled religion). The latchkey kid, unbeknownst to them, also minds another kind of Summer house. I hate to say, but I don't like the protagonist, and I really really feel sorry for the stupid doormat classmate, an emotion I rarely harbour towards doormat people. It's a creepy story. Garth Nix contributed Peace in Our Time, a horror story that creeps up onto you slowly, slowly, slowly. There is retribution, though, of sorts. Not enough, by far. Nowhere Fast by Christopher Rowe is a world where only the feds use cars (and coal burning mechanical horses with claws). In this world, a young man drives his homemade device (not really a car, he insists) across a USA where luddites rule local governments. He hits a town, finds friends, and enemies. Bicycle riding youngsters confront old choices made by ancestors and some of the eternal questions of democracy. Finishing School by Kathleen Jennings is also a comic. Narrated by an aging orthodontist, we see her and the legendary Gwendoline Byrne at school, where the colonial masters rule by airship, and the "outspoken, left-handed daughter of an Irish outlaw and a Chinese publican" proves, against odds, that heavier-than-air flight is possible. You know, neither of the two comics really made much of an impact on me. Steam Girl by Dylan Horrocks is the least steampunkish story, set as it is, in the real world of today, in a school. A nerd boy and a geek girl seek hope, and perhaps find it. Everything Amiable and Obliging by Holly Black is a Victorian romance with grasping relatives, a shy heiress, a maybe-heroic object of her childhood infatuation, taking place within a House of Automatons, all run by a Hub. The daughter of the house falls in love with one of the automatons, with what disastrous outcome, has to be seen. The Oracle Engine by MT Anderson is placed in ancient Rome, where Marcus Furius makes a place for himself in history. Starting from improving the solar platters for the quinquiremes, to the greater glory of creating the first oracle engine. He creates this for one of the triumvirate of: Crassus, rich and ruthless, Pompey the Great and Julius Caesar. Crassus had held off his fire-engine airship when Furius' childhood house burned down with his family, and the reader wonders why he is doing this for Crassus, who will use it to get guaranteed military victories. Crassus remains evil and ruthless as ever, which gives the story its inevitable end. Okay, I anticipated it, you may not. This book was published in 2011. Steampunk remains alive and kicking heartily. It's a great collection, though I suppose I will go back to my true love (hard sf) at the earliest, as usual. 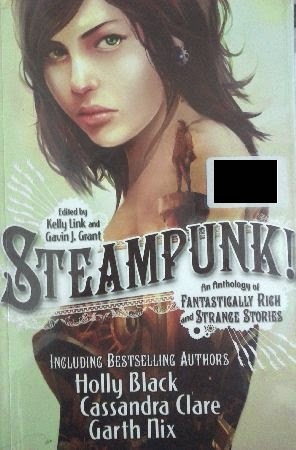 My thanks to Gord McLeod, whose "Price of..." stories were my first introduction to steampunk. Had I not read and liked those, I may not have picked this one up. One of the things I like about John McLaren books is the 'poetic' or ironic justice that always gets the villains by the end. The good guys may do stupid things along the way (and usually do), but they remain essentially just. They have their foibles and weaknesses, and the villains have things going their way much of the time, but in the end, justice prevails, helped along by the good humans. It's not a spoiler, because I've lifted it off the back cover. Thing is, it's not fully accurate. 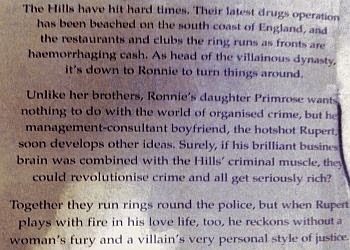 Primrose is not the one who works with Rupert on the crime side. It's her dad who does. Primrose starts off as a doormattish woman, whom Rupert winds around his little finger. Later on, she does show signs of fury and spine, more like a hotshot lawyer should be. Her brother Lee is a thug of the first order. Her brother Dan spends most of the time off-stage. Ronnie, her dad, is a likeable character all around. 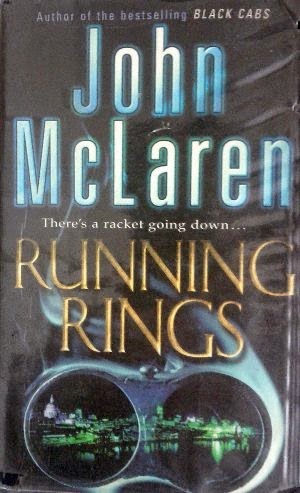 Kudos to McLaren for this, since most drug-lord characters in thrillers rarely engage the readers' sympathies. This despite the fact that McLaren has a very spare writing style, almost like Icelandic sagas, in which you get to know a lot about the facts, the things that happened, and little about the inner workings of the characters unless they mention something in dialogue. Well done, McLaren, and I will continue reading your books! You should, too. These books written around the turn of the century have references to cutting edge technology, and cutting commentary on the style of management consultants and VCs. I found those sections hilarious, knowing quite a bit about how companies really do work with management consultants. Totally spot on, and why not? The author used to be a venture capitalist and director of two investment banks, where he must have closely worked with all kinds of people in that realm, the good, bad and ugly. Yes, there is humour, all integral to the plot, which chugs along at decent clip. You find you warm up to the 'right' characters, which is a tribute to the author's skill (okay, I'll stop belabouring this point). There are also a lot of surprises along the way. There is a happy ending, which is de rigeur for me to really like a book (necessary but not sufficient condition), and I really liked this one. Some day I'll get along to reviewing Press Send, which I read before this one, and which made me pick out John McLaren books when I can get them. But take it from me, that one was good, too. Hmm, for those who need more help in making up their minds, I should give you an 'if you like x, you may like these'. So, similar stories but a more famous writer would be Sidney Sheldon. Plus of course if you made good in the dotcom era, or even if you were close to it, you can relate to fellow geeks in the story.